Our fully licensed, registered and insured mobile locksmith can create OEM-spec intelligent keys for all vehicles. Need another set of car keys made for your car, van, or light-duty truck? Whether you’ve lost your only set of remote head keys, you’d like a spare set of intelligent keys to keep at the office, or you need new smart keys for your late-model imported or domestic vehicle, call us here at Quality Key Locksmithing in Wichita, KS. We specialize in providing drivers like you with high-quality car key replacement services at highly competitive prices, giving you an affordable and convenient alternative to having new keys made at your dealership. As a full-time, professional locksmith service, we’re committed to using the highest quality equipment and the most up-to-date methods to supply you with a car key replacement. Our fully licensed, registered and insured mobile locksmith can create OEM-spec intelligent keys for all makes, including Honda, Toyota, Nissan, BMW, and Lexus, as well as Ford, GM, and Mazda cars, vans and trucks based on the VIN of your vehicle, which we enter into our computerized transponder key cutting machine to make a car key copy that’s guaranteed to work. At Quality Key Locksmithing in Wichita, KS, we know that there are times when you simply can’t afford to wait for a car key replacement – that’s why our mobile locksmith service operates 24 hours a day, 7 days a week. We’ll come to your home, workplace, hotel, or anywhere else in the city to make an accurate car key copy, and we’ll do it for less than you’d expect to pay at your local automobile dealership. If you’ve recently purchased a newer vehicle that uses intelligent keys, you know that getting a spare set of keys isn’t as simple as it used to be. Today’s modern, high-tech vehicles use advanced technology that allows you to leave your key in your purse or pocket while you open the doors and start up the engine, eliminating the risk of bent or jammed ignition keys. While smart keys can be convenient, they’re also exceptionally expensive to replace – that’s why most new cars come supplied with only one set of remote head keys these days. While you could simply order an extra set of transponder keys from your dealer, why pay dealership prices for when you need a car key copy? 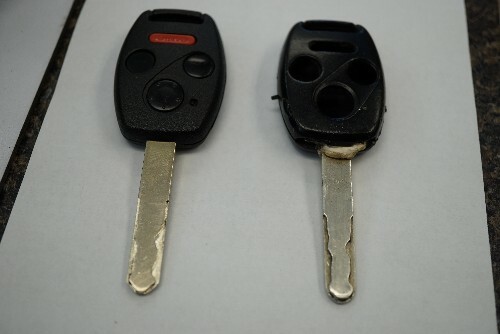 When you need car key replacement in Wichita, KS, contact us here at Quality Key Locksmithing. We’re committed to exceeding your expectations with our fast, friendly service, and we guarantee all of the work we do.